Unlike in the past years, people tend to record their singings and voice notes using a cassette tape. Voice recording has become much easier nowadays since the computers have their own inbuilt recording devices. 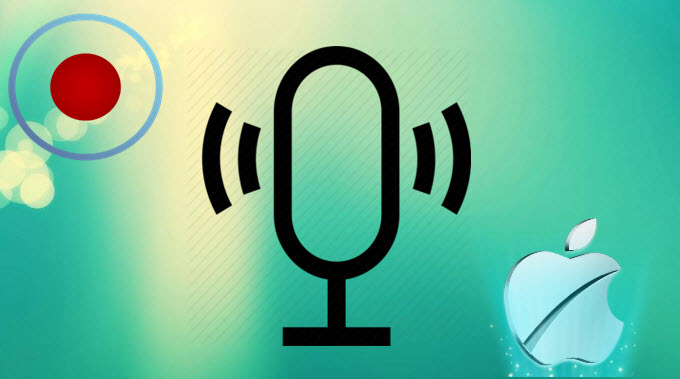 Although Mac doesn’t have a lot of voice recording software as compared with Windows, there still exist some third-party voice recorders for Mac which helps to create voice recording easier. Using the reliable tools, you’ll be able to record yourself singings for uploading to music platforms, record voice notes or voice conferences for sharing information with your colleagues easily. 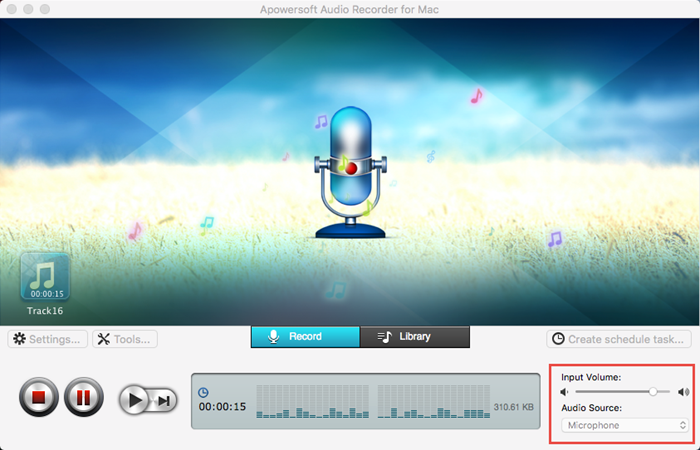 Apowersoft Audio Recorder for Mac is an application that is especially made for you to record any voice with your Mac device with great ease. It does not have any time or audio size limit when recording audio. Moreover, when you record a song using this tool, its ID3 tag identification function supports to get the music’s information easily. 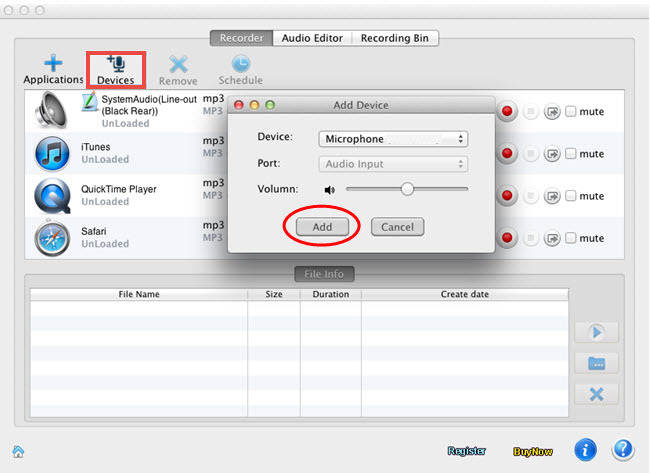 To know how to use it, please check the following steps for recording voice on Mac. Click the “Download” button above to download and install the software. Once finished, launched the application and then configure the settings that you like before the recording. Choose “Microphone” from “Audio Source” option on the right corner of the tool, also you can choose “System Sound and Microphone” to record your voice with background sound on Mac. Click the red “Start” button to start recording, now you can talk through a microphone or play the audio from the websites, music players or apps. Click the red button again to stop recording, the recorded file will then be seen on the interface, just double-click to play it with the inlaid player. This amazing tool also let you create a scheduled task so that you can record an audio file at a specific time. All you need to do is to pre-set start time, duration and audio source and it will work for you afterwards. It records voice in high, standard and low quality as you like. It supports all the Mac operating systems including Mac OS X El Capitan. The inlaid editor doesn’t support mixing audio file or add instrumental effects. Another great Mac voice recorder is Ondesoft Mac Audio Recorder which grabs voice from your Mac device without losing its quality. Except the basic audio recording feature, it has the editing function allowing you to trim, crop and merge files as well. To use it, you need to download and install it on your Mac PC first. Next, click “Device” to add the “Microphone” and adjust the volume according to your requirement. Once done, you will see the “Microphone” option displays in the interface, click the “Record” icon there to begin recording. To end the progress, click “Stop”, and then locate the recorded file by hitting the “File” icon on the main interface. The program can record voice from specific audio source only, then the wanted sound won’t be recorded. It supports lots of output formats such as MP3, M4A, AAC, AIFF and WAV. It doesn’t have the ID3 tagger or editor for you can add the music information. The inbuilt player doesn’t work sometimes. 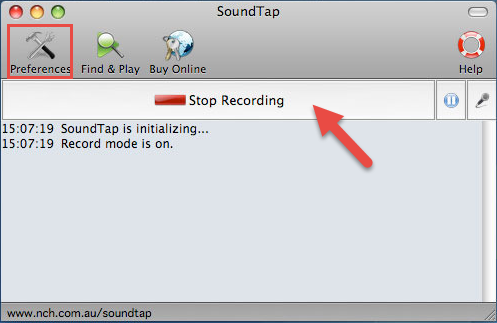 If you wish to record voice on Mac OS X El Capitan smoothly, SoundTap should be your ideal choice. It performs perfectly if you are recording online streaming audio as it can let you listen while recording or record in a silent mode. Besides, it can automatically recover broken streams when recording. What’s more, this tool can serve as a converter. Just go to playlist, right click on the audio and then click “Convert” to convert the audio to the target format. The built-in editor enables you to edit audio or make ringtones for your smartphone flexibly. The recover function is very practical. The interface is somewhat outdated. Those are the optimal programs for recording voice on Mac, they all provide the trial version for you can test if they work for you, so just download them and try.